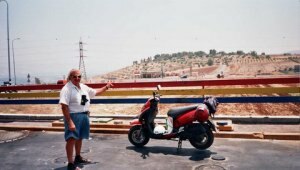 Scooterer Stories part seventeen, Tiberias, Rama and a Druze Wedding. Readers, a reminder. These “travel chapters” are written in a manner that could describe me and 3 passengers in a rented car, OR show me on my scooter, and a couple of other scooter riders scooting with me. Your imagination is tested. (I must also mention that many thousands of my great pictures were deleted in error, by a technician while servicing my computer, a serious great loss to me. We’ve arrived and settled in to our accommodation at Poriya Hostel http://www.iyha.org.il/eng/Index.asp?CategoryID=64&ArticleID=46 spectacular views over Sea of Galilee, and lovely and peaceful, especially in the wooden cabins. Also other rooms with great views, and even some cheap small rooms with a small window, but the same facilities to make visitors comfortable. Here we do not need to go looking for the sunrise, many places have been built have benches and chairs to watch. Breakfast is one later than other hostels and we pack our stuff into the car. Then take a walk to end of the hostel grounds and a short hike on the Switzerland forest, passing cows and other animals grazing. Look to see some of the memorials, and viewsites, and take pictures. A little later, I will pick you up in the car and we take a drive up to the neighbourhood of Poriya, seeing views of the Kinerret on the one side, and the valleys on the other side. The Switzerland forest is designed for families to enjoy picnics, and tables and benches are laid on with enough parking under the trees and no parking at all on the narrow road. Digressing for a few minutes. THE FIRST time I came to this area through Tiberias Illit (upper Tiberias) (http://www.israelimages.com/see_image_details.php?idi=10238 ) I was on my scooter, and the road construction was well under way. It seemed there was no supervision, and quickly I was in this muddy quagmire, withno signs anywhere that work was in progress and also no person visible. From a distance this mess looked like gravel road, but when on, I realised it was muddy mess and difficult to manouvre, but lucky my scooter had thick “offroad tyres”, and I was able to stay on, skidding uncomfortably. Lucky for me a truck trundled past slowly and I was able to ride in those tyre tracks the last couple of hundred meters to the end. On a later trip, all the roads were finished with excellent sidewalks, parking bays and paving and benches and trees and flowers. This became a beautiful Boulevard as it is now, and has many lovely lanes joining the lower and higher roads. All roads in these neighbourhoods are built on terraces with sidewalks and viewsites, and I even found a tiny pizza place. Alumot Junction, is close to where my favourite filling station and coffeeshop and giftshop was, under a previous owner. A quick visit into Alumot Kibbutz and recieved some brochures about bed and breakfast accommodation . A climb to top of the spiral steps tower, is a must, and has spectacular views. 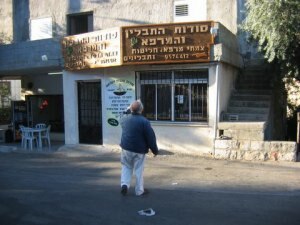 After some driving around we get to the bottom sea level road, and another short drive into Kibbuts Kinerret, for a quick visit to the “dates and honey shop” on the kibbuts. Here we buy some real sweet stuff and move on. There are a couple of important museums in kibbuts Kinerret, to see another time, perhaps. On the sea road towards Tiberias, we pass luxury hotels on both sides, and beaches and restaurants on the lake Kinneret. Here we can enjoy a quick snack overlooking at the sea. Carrying on and we pass some tombs of important Rabbis, also an ancient cemetery, and the current cemetery as well. A point-of-interest here is, there is a shooting range tucked into a corner of the hill, next to Rabbi’s tombs. 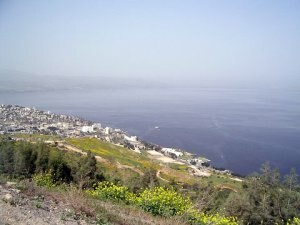 We’ll take a side road through industrial area to leave the city Tiberias, and head for a short scenic drive, to see a couple of magnificent viewsites from Mt. Arbel. Take some pics and get back on the road, now #77 heading west. After a few kilometers drive we find ‘South Africa Forest’ and we’ll make some time to plant a few trees. An important army museum is close by, and we will visit this Golani Brigade. Next to that, we will take coffee and a hamburger at the busy hamburger joint. Then hit the road at Golani junction #65. There are many and varied small places, all with many interesting stories, but, we will head through Rama and on to Pekiin. 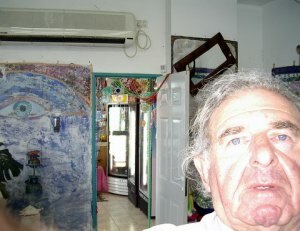 We arrive at the beautiful friendly Pekiin Hostel, and met by the manager. Our plan is to stay over for at least 2 nites. A good short drive around this fascinating ancient place, as well as much walking through and around, we’ll have dinner at restaurant at the ancient square at the well in centre of Pekiin and then a good nite sleep. I must tell you about RAMA, a little story I wrote a few years earlier. The Druze Wedding at Rama. On one beautiful day with nothing special planned, on scooter. I was riding to PEKIIN, (from Rd 85,) and the narrow winding-mountain road up to RAMA was heavy with traffic of all-sorts of vehicles, which had come to a stand-still. Compact, Cab Driver, Bus, Low Rider, Road Trip, so, I overtook a couple of hundred vehicles until I was in the front, and seeing this long line of men, in single-file Rave Rave Rave Rave Rave Rave doing a dance to loud music and singing, with music from big speakers mounted on a jeep ?, and being guided by a man with a loud-hailer. I also noticed many vehicles just standing and waiting to go down. I asked a young woman standing next to the front car, what did she think this ceremony is? and she thought it could be a wedding. That was immediately confirmed a few seconds later, when we both saw the bride walking a few meters behind the dancing men. So, the men danced or marched to the music, a few steps forward, then turn to their left, then right-turn and holding the shoulder of the man in front, and again a few steps forward, and one-by-one these men turned into a narrow lane leading to a large building that was out of our view. Behind the last dancing manRave came the Bride, in white, and her attendants, and all the women and children attending: Son & Mother, 9 To 5, Daughter & Mother, Mom And Baby, followed the men down the narrow lane. A lot of people attending, so the procedure took a lot of Alarm Clock minutes, then back-to-normal. 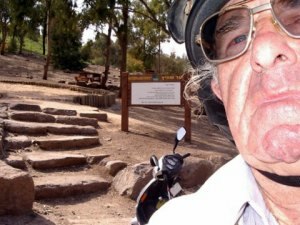 I was the first vehicle to go, and I rode many kilometers on the winding mountain road, before the first car came up behind me. Someone was directing the hundreds of vehicles, allowing a few up, then a few down. One of these cars flagged me to stop, and the young woman I spoke to, and her father, told me what they knew about the wedding ceremony. We swopped phone numbers and carried on our journeys. A short while later, when I arrived at the Youth Hostel in Pekiin, I related to the young man at reception what I had seen, and he told me I had seen a “RARE EVENT” the “traditional” DRUZE wedding procession, dancing and music, TO the “marriage-ceremony”, and although he lives in Pekiin, he had seen that procession ONLY once. He also gave me much other information about many interesting places, and he took me in his car for a guided tour. A FEW more visits are in planning. 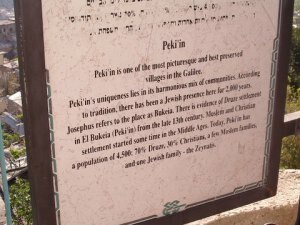 Find PEKIIN on the Internet. A most amazing place to visit. Once again you paint such a great picture of your country! Thank you for your tours. I feel like I’m riding along with you. I’m glad you enjoy these “tours”. 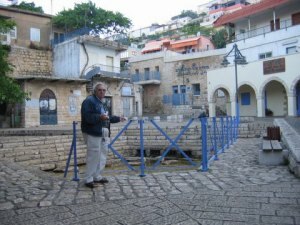 When you visit Israel, and you plan to hire a car, I will be your driver (some of the time) and take you to some spots that tour guides dont know about. 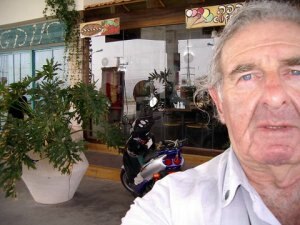 Thanks for sharing another scootering story with me. I always enjoy them. I read another one but for some reason wasn’t able to leave a comment. I can here, though. I’m in east Tennessee at my oldest daughters and I’m on her computer so maybe that has something to do with it. Such fun you always seem to have! yes its becoming more difficult to “find some fun”.